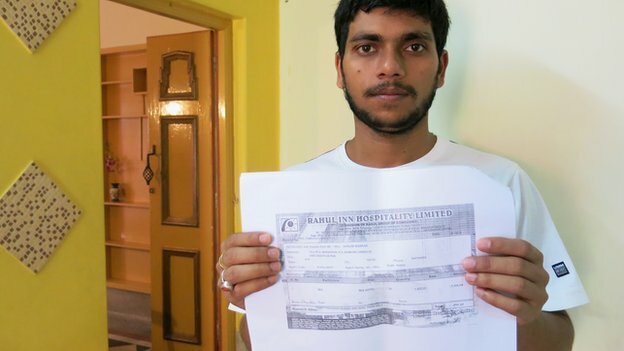 'MLM' The American Dream Made Nightmare: BBC reports the Rise of Ponzi schemes in India. 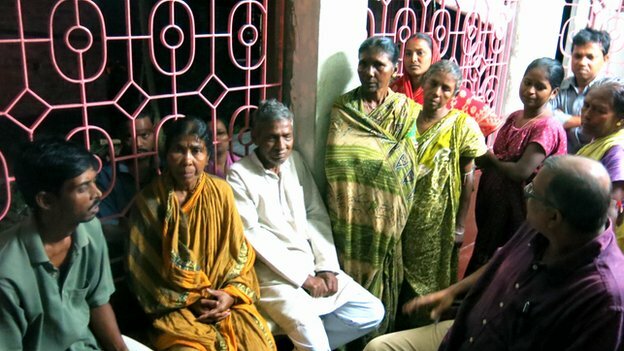 BBC reports the Rise of Ponzi schemes in India. Readers are reminded that (currently) US based 'MLM Income Opportunity' racketeers are attempting to have their own brand of dissimulated Ponzi scheme exempted from India's Prize Chits and Money Circulation Schemes (banning) Act. "When he realised he'd lost all our money, more than $9,000 [£5,661] in savings, he had a massive heart attack," says Gita Mandal tearfully. She pauses as grief chokes her throat mid-sentence. Gita, 55, is recounting how her husband Sunil died suddenly last year, leaving her penniless with six mouths to feed. 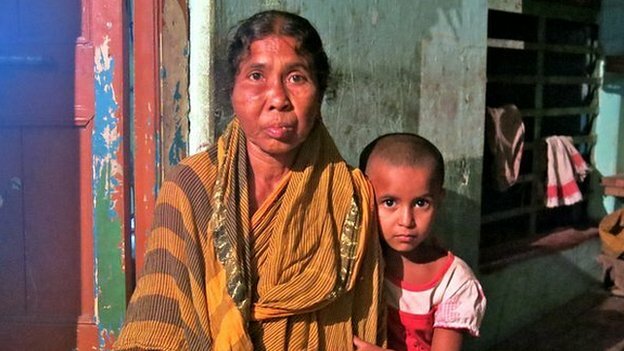 Gita's family is one of 300 in Daspara village, an hour's drive south from Calcutta, which were swindled in a variety of unregulated "investment" schemes that have swept across India - swallowing up the life savings of some of the country's poorest citizens. Some estimates suggest that such Ponzi or pyramid schemes have already cost unsuspecting Indian investors $160bn. West Bengal, where investors like Gita's husband were caught up in the biggest schemes were based, has been dubbed the "Ponzi capital of India". As she sits surrounded by other victims, including farmers, labourers and milkmen, all of whom lost the modest sums they'd scrimped to save, Gita struggles to articulate how angry she feels. "That money was everything to us. It came from selling our land and it was supposed to be for our granddaughters' future. Now it's all gone - the land, the money, my husband, everything," she says. India's new Prime Minister, Narendra Modi, has been on a charm offensive to attract global business to the country. His government has also launched major legal, social and economic reforms at home. But the scale of India's Ponzi schemes reveals the enormity of the task of protecting the country's vast illiterate, financially vulnerable population, as well as the epic loopholes in enforcement of existing law. Ponzi schemes work by pooling money from new investors to pay off existing investors. The seemingly good returns fuel new business, but eventually most schemes collapse, leaving ruin in their wake. Ultimately there are more existing investors to be paid than there are new investors coming in. India's biggest Ponzi scheme uncovered so far involved more than $3bn in losses when the Saradha Group, a consortium of about 200 companies including factories, newspapers and television channels, was shut down two years ago. The name Saradha played on messages of religious good fortune and the company used images of popular politicians and movie stars to build trust. Its company structure was so complex that regulators took years to untangle it. It offered agents, recruited from local communities, up to 40% commissions - making them crucial evangelists for the company. So far, according to media reports, at least 80 people linked to the scam have committed suicide. Its chief executive and other officials are in prison. An investigation is probing the company's links with top officials in West Bengal and other states in eastern India. In neighbouring Bangladesh, ministers have raised questions on whether Saradha money was brought into their country by extremist organizations seeking to destabilise the government. But while Saradha and other major scams have been shut down, few investors have been refunded, and experts say despite new laws, hundreds of other unregulated schemes - involving ones involving emu farms, mango orchards, fake hospitals and resorts - are still operating across India. "We already have a total of about half a million individuals or entities that have either been indicted or been declared non-compliant by regulatory bodies," says Prithvi Haldea, who runs watchoutinvestors.com, a website dedicated to naming and shaming fraudsters. He blames the ignorance and greed of investors seeking unrealistic returns, combined with India's regulatory framework, which is too unwieldy for the current mess. More than 20 bodies oversee financial transactions in India, including the Securities and Exchange Board of India, or SEBI. However in August, SEBI was given permanent powers to search companies, seize records and property, freeze assets and fast track investigations and prosecution. So far, with its new powers, SEBI has issued orders against some 40 companies, compared to only a handful last year. Although SEBI did not respond to numerous interview requests, they did give the BBC access to recent public awareness TV ads, which warn investors not to trust word of mouth or fanciful claims when scrutinising companies. But according to Prithvi Haldea, India's regulatory regime is failing. "There are too many bodies and too many gaps," he says. "They have not been empowered enough, or they're not manned well. Their investigative or surveillance mechanisms are poor, so they are not able to deliver." In central Calcutta, more than 200 people who lost their money in a variety of companies, block traffic as they protest at both the state and central government's response to their plight. Despite arrests, continuing investigations and a state commission formed to probe the situation, few victims have seen their money returned. "Hundreds of thousands of people have been cheated. It has totally been endorsed by this state government," says Sujan Chakraborty of the Chit-Fund Sufferers Unity Forum, which represents the victims. "It's a very precarious situation. There are still lots of scams. How many? Nobody knows. Nothing has changed." When it comes to the proliferation of scams, there is another elephant in the room. Currently, more than half of India's population has no access to banks. Prime Minister Modi's Jan Dhan Yojana scheme, or Bank Accounts for All, aims to rectify that, by streamlining procedures and reducing the onerous paperwork needed to access accounts. According to the government, 64 million people have opened new accounts so far, a tenth of those who lack accounts overall. 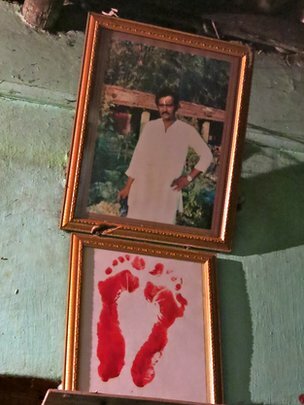 For victims like Sanjib Naskar, 27, who works in a guesthouse in Kolkata, it is too little too late. He lost more than $3,000 - saved over seven years - to a bogus investment scheme precisely because he lacked the ability to open a bank account. Ponzi schemes offered him a convenient alternative. "The agent would come from my village all the way to Calcutta to collect my savings because he knew I had nowhere to keep it safe," he says. Despite the prime minister's drive to make accounts easier to open, Sanjib says rural banking remains problematic. "Banks in villages are no good, there are so few to begin with. Villagers are illiterate and depend on bank clerks to help them. "But the clerks deliberately take their time and make people wait all day, or tell them to come back later," he says. Prithvi Haldea, who tracks investment fraud, also blames the lack of political will to prosecute fraudsters, as well as a worship of entrepreneurs. "Because we were a capital starved country, we put people who set up companies on a pedestal. They are our gods. "They are the providers of employment, capital and entrepreneurship and therefore there has been a hesitancy to take action against them," he says. "My view is that unless we come down very heavily on these offenders, including life imprisonment, disgorgement of all the gains they have made, giving it back to small investors - unless we create that kind of a deterrent, the human ingenuity to create new scams will continue because the greed for money is there." Here more from Anu Anand on India's Ponzi schemes in Business Daily on BBC World Service at 08:32 GMT on 25 November 2014 - or you can download the Business Daily podcast here. Government corruption, massive losses, suicides…. just what CrimeBustersNow non-profit organization has warned and advocated against since its inception over a decade ago. You want to know where the victims and complainants are??? … Just LOOK!!! You don’t see their pain??? you don’t feel their suffering??? This is Herbalife, this is Nu Skin this is MLM, this is fraud…. This…. is the American Way - AMWAY!!!! International Monetary Fund March 2000. 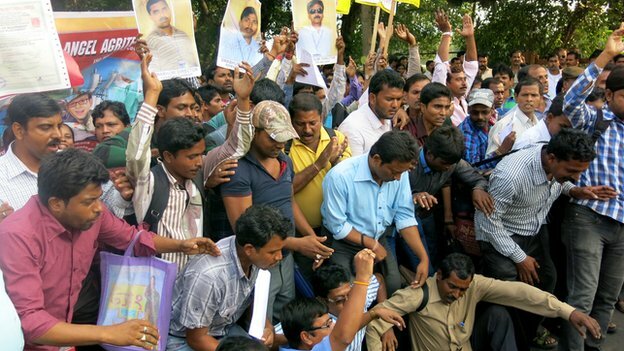 INDIA – For the sake of your country, for the sake of your people and the world ….. SHUT THIS DOWN!!! Activist & Concerned Canadian Citizen…. simply doing ALL WE CAN to expose and eradicate fraud. David - As you doubtless know, it's only very recently that India opened up its economy to foreign investment. As this article starts to point out, there are many short-sighted, and/or corrupt, politicians in India who want to believe that anyone labelled 'Entrepeneur,' and anything labelled 'Business,' must be a good thing for the wider Indian economy. This partly explains why, even though Ponzi schemes (no matter how deviously they are dissimulated) are banned by Indian criminal law, independent law enforcement agents, and prosecutors, have found it so difficult to hold the instigators of Ponzi schemes fully to account, in India. Unfortunately, this article fails to point out that some of the most-devious Ponzi schemes ever to have been instigated, have been hidden inside counterfeit 'Direct Selling' companies offering so-called 'legal MLM income opportunities'. Starting with 'Amway', several of these corporate Trojan Horses were dragged into India with the enthusiatic assistance of short-sighted, and/or corrupt, Indian officials in a Foreign Investment Dept., and their short-sighted, and/or corrupt, political masters. In India, just as has been the experience all around the world, the more-deeply the camouflaged 'MLM' cancer has been allowed to gnaw its way into the heart of the Republic: the more difficult it has become to face reality and cut it out.